Their reasons vary: Their mothers don’t provide them; they don’t have the money; they forgot to bring them; their friends need them. “It’s every issue that can be named,” said Linda Espinosa, a nurse at Freedom Middle School in Dekalb County, a school where all students receive free or subsidized meals. Ten U.S. states have eliminated the sales tax on menstrual products, while India and Canada have eliminated the tax nationwide. 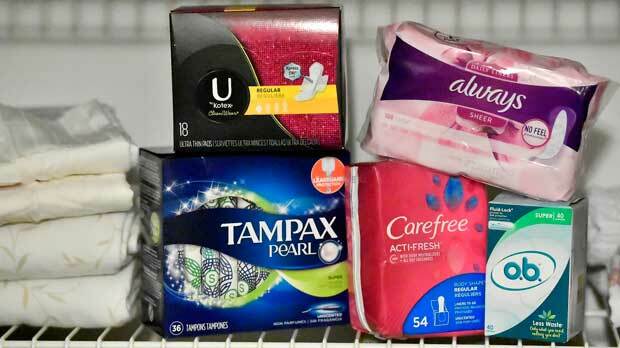 Georgia’s corrections department provides unlimited menstrual products to inmates but the state still charges a sales tax on these items. There is definitely a need for more funding for menstrual products in the state’s public schools, said Garry McGiboney, deputy superintendent for external affairs at Georgia’s Department of Education. State Democratic Rep. Debbie Buckner of Junction City proposed a bill this year to eliminate Georgia’s state tax on menstrual products. Buckner noted that the U.S. Food and Drug Administration defines menstrual products as medical devices, others of which — diabetic test strips and insulin devices, for example — receive tax exemptions under Georgia law. The estimated $9 million in lost tax revenue from Buckner’s bill would have had little effect on the budget. The measure failed to make it out of committee by a critical legislative deadline, however, and shows little promise of passing this year. A similar proposal failed last session. Claire Cox and Adele Stewart, co-founders of Georgia STOMP, the main women’s group behind the proposal to eliminate the state sales tax on menstrual products, were disappointed Buckner’s bill didn’t pass. But they said they’re grateful for money going toward schools in need. Until some action takes effect, the task of providing menstrual products in Georgia public schools where low-income students may not be able to afford them falls to private donors, civic groups and school employees such as Espinosa. She gets help from a Procter &amp; Gamble program that donates menstrual products to schools. But she noted about half of those supplies are tampons, which she said most middle-school girls can’t use. “Sometimes it can be embarrassing to come to the front office multiple times a day,” Cullen said.